Tonight was our wine group gathering. Three couples, four courses, eight wines. 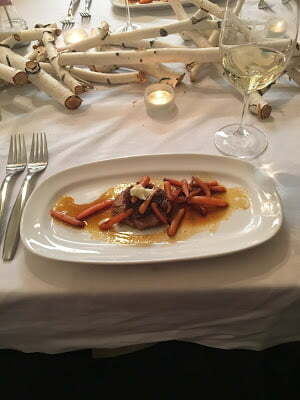 Each couple brought the makings for a dinner course to pair with their wine selections. We started off the evening with some bubbly and an appetizer with Brie Cheese atop a slice of Baguette, topped with fresh pear slices and an onion jam imported from England. 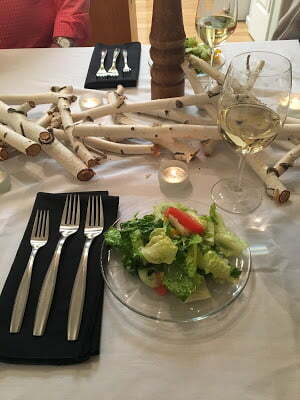 Our salad course included tastings of Pinot Gris and Chardonnay paired with a lovely and light green salad with cucumbers, tomato and mandarin oranges with a Champagne Vinaigrette. Our entree course featured two small plates of pork. The first, a slice of sweet mesquite and cumin pork with onion-fig-balsamic compote, sided by maple-brandy glazed baby carrots. 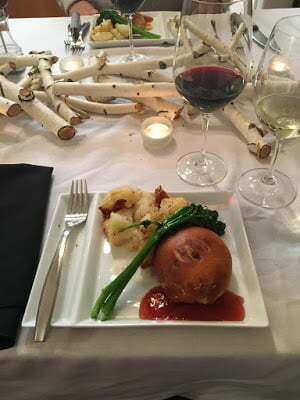 The second was a cute little pork bun (handmade by Chef Husband) filled with the same sweet mesquite pork, roasted garlic and triple cream Brie, served with a side of Broccolini and hand torn potatoes (a new recipe in development stages) paired with a Pinot Noir. 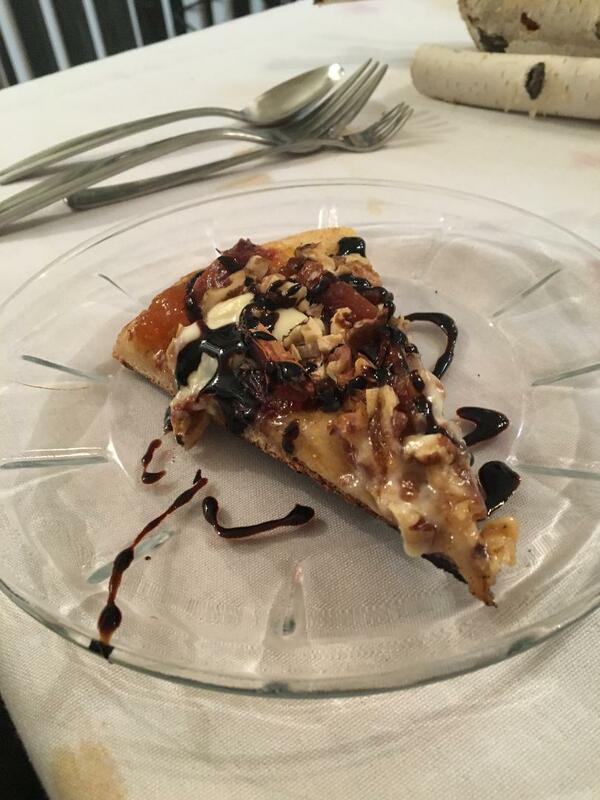 Our final course was a slice of dessert pizza that was grilled on the BBQ, layered with apricot jam, marscapone, dates and walnuts, which was paired with a Madeira. But wait, there’s more. In between the two little pork dishes, we had a little surprise palate cleanser. 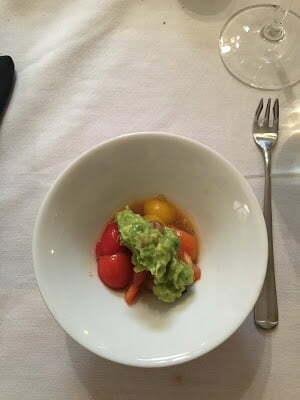 It was a very simple dish comprised of local baby heirloom tomatoes, tossed with a little olive oil, salt and pepper, and kissed with a bit of fresh squeezed lime juice, then topped with a dollop of spicy guacamole. It was so refreshing, yet very different from the sweet intermezzo of an icy granita. Everything tonight was my favorite! Including the company and conversation.